Flooding and water damage events Kernersville commercial properties are often complex with numerous issues that require a knowledgeable and flexible response. Whether we’re dealing with a relatively small water cleanup scenario or a large scale event, we work quickly to assess each unique situation and isolate the damaged area. In many instances, normal operations can continue in a temporary space while we restore your facility. 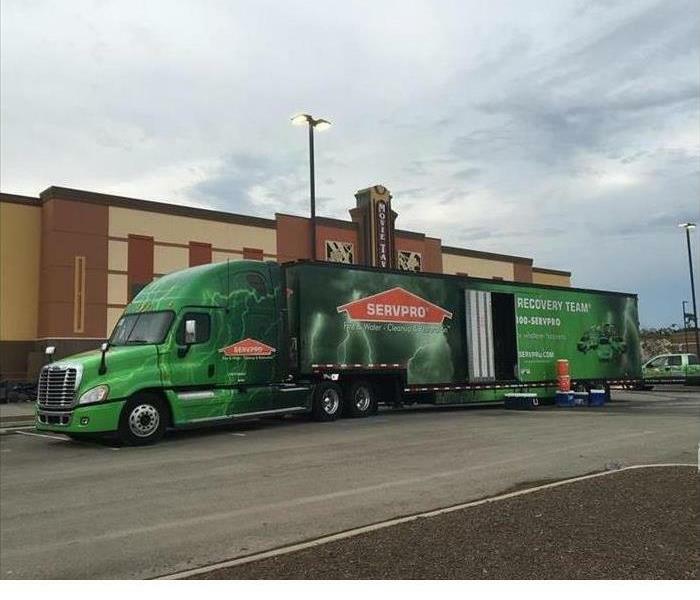 SERVPRO of Kernersville specializes in the cleanup and restoration of commercial and residential property after a water damage event. Our staff is highly trained in property damage restoration. From initial and ongoing training at SERVPRO’s corporate training facility to regular IICRC-industry certification, rest assured our staff is equipped with the knowledge to restore your property. SERVPRO of Kernersville is helping to combat hunger in our community by collecting canned goods and non-perishables through August 31st. By partnering with the Piedmont Triad Apartment Association and the Second Harvest Food Bank of Northwest North Carolina, we can help fight hunger right here where we live. "When people do not have access to enough food to power them through their days, the costs are borne by us all. Hungry children cannot learn. Hungry adults cannot be productive. Hungry communities cannot grow and flourish. Together, we can feed hope and feed our community. Across Second Harvest Food Bank of Northwest NC’s 18-county service area, 1 in 6 people struggles with food insecurity. More than 1 in every 4 children lives at risk of hunger and many seniors are facing choices no one should have to make, including whether to buy food or critical medicines. With our network of more than 400 partner food assistance programs and supporters like you, Second Harvest Food Bank provides food to help meet urgent nutritional needs and works to put an end to hunger through education, outreach and advocacy. Together, we are a lifeline for more than 300,000 neighbors in need, one third of which are children. " Stop by our office 8am-5pm Monday-Friday with your non-perishables and help us help those in need! SERVPRO of Kernersville specializes in storm and flood damage restoration. Our crews are highly trained and we use specialized equipment to restore your property to its pre-storm condition. When storms hit Kernersville or Forsythe County, we can scale our resources to handle a large storm or flooding disaster. We can access equipment and personnel from a network of 1,650 Franchises across the country and elite disaster teams that are strategically located throughout the United States. At SERVPRO of Kernersville we have mold remediation services. Most of the time it’s in an un-used part of the home like a basement or attic. Some customers try to handle the project themselves and find that the mold comes back a few weeks later. Here are some myths & facts about mold and the dangers. If you think you have mold, you should contact SERVPRO of Kernersville to discuss the plans of actions. MYTH NO. 1 BLEACH KILLS MOLD? Liquid bleach is a solution of chlorine in water, usually 6 percent sodium hypochlorite, thus 94 percent water. Smearing bleach on mold may appear to kill it, but the effect is superficial and very temporary. Once the chlorine is gone - and it evaporates rapidly - what's left is all that water, feeding the mold. There are many chemicals that kill mold. They're called biocides. MYTH No. 2 'Toxic' Mold is the only dangerous type of mold. "Toxic" mold or "black" mold is often touted by the hucksters in the mold industry as being the one that makes people sick, the one you must eliminate. This is pure scare tactic. Yes, there are some strains of mold that seem to be more toxic than others. But there is no such thing as good mold, or even tolerable mold, unless you like stinky cheese. Mold in your home is a problem, because it signifies a moisture problem. Moisture inside your home enables mold growth, and it can also lead to rot, threatening the structure itself. On top of that, any mold problem that's allowed to continue often will pave the way for the dreaded "black mold." The most infamous "black mold," stachybotrys chartarum, is what's known as a tertiary mold. It's very slow to develop and usually follows earlier mold growths, actually feeding off the previous mold colony. MYTH No. 3, Homeowners can properly remediate mold themselves? Homeowners are not trained or knowledgeable about mold enough to properly remediate the damages, most times homeowners cause more damage when they don’t hire a professional. Most of the errors are in the contamination process. Not using vapor barriers or the proper equipment to clean the air during removal stages. When it’s not properly sectioned off, they can cross contaminate mold threw other area of the home that previously did not have mold spores. Fact No. 1 : Mold is everywhere and mold problems exist indoors in every climate. Mold is, literally, everywhere on the planet, in every climate. A house in the Mojave Desert can have a mold problem as easily as one in Florida or New Orleans. Mold needs three things to thrive: moisture, food, and the right temperature. 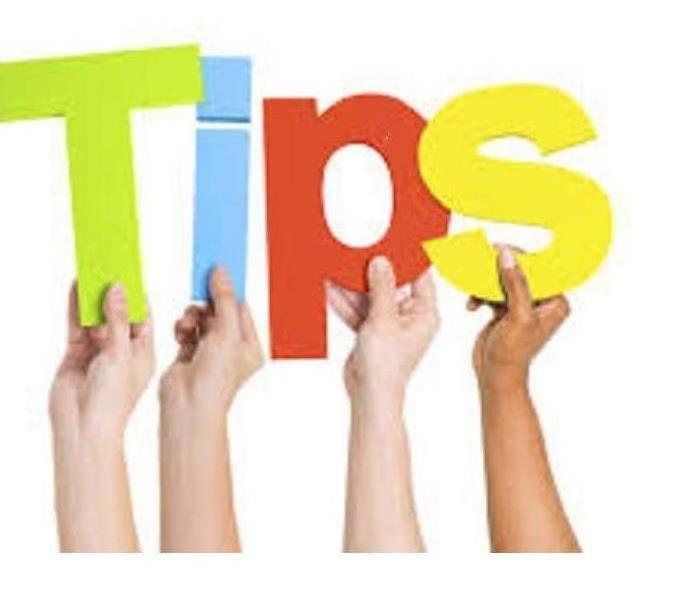 Moisture can collect in walls, attics and crawl spaces in the driest of climates with a little help, such as a roof or siding leak, plumbing flaw, and pressure differentials created by air conditioning, or even a poorly vented bathroom. Food for mold is pretty much everything we build with and everything we own. Mold loves household dust... even in the kitchen sink. And the warmth mold needs is the same temperature range humans prefer. Bottom line: Every home has mold but not every home has a mold problem. If you think you might have a mold problem, don't ignore it. Get help. Fact No. 2 Home inspectors don't know mold. Home inspectors - the ones who check out a house prior to sale - are generally ignorant about mold. Many inspectors will see mold and ignore it because there's no rot or obvious moisture. Others may not see it at all. SERVPRO of Kernersville has seen a lot of mold begin to form this time of the year. Here are some things that we have learned. The last thing most people want to find in their home is mold. Many people find mold in their home and have to go through mold remediation, however there are some things you can do to help prevent mold from growing in your home. Make sure your home has good ventilation. Make sure you don't have any leaks in your home. If you experience water damage, dry out your home as soon as possible. Clean bathroom areas with mold killing products. Do not touch the mold. Stay out of the room where you found the mold. Turn off your HVAC unit. Get your house tested to make sure you actually have mold. If you do have mold, call SERVPRO of Kernersville to complete your mold remediation! Mold can spread quickly throughout your home in as little as 48 hours. If you suspect that your business or home has a mold problem, call us at 336-748-0250 to inspect your home and complete mold remediation! We are highly trained mold remediation specialists and use advanced mold remediation techniques and equipment to get your home mold free as soon as possible. 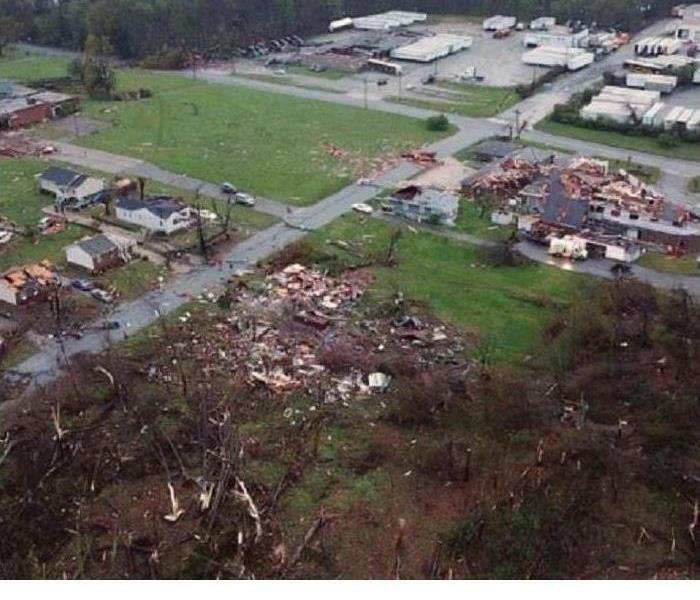 The President has officially approved Governor Roy Cooper's request for a federal disaster declaration to help tornado victims in Guilford and Rockingham counties. The decision came on Tuesday, April 15. All storm victims will be able to apply for low-interest federal loans or grants to help them repair their homes and businesses. Families and business owners can now apply for financial help to repair and rebuild. The governor declared a state of emergency for Guilford and Rockingham counties on April 20 and sent the federal disaster declaration request to the president on April 25. He reached out to local officials today to share the good news that the request for federal help has been granted. CONTACT SERVPRO of Kernersville for all your storm repair needs. Our SERVPRO of Kernersville family was fortunate enough to be part of the filming of an episode of HGTVs Love it or List it. 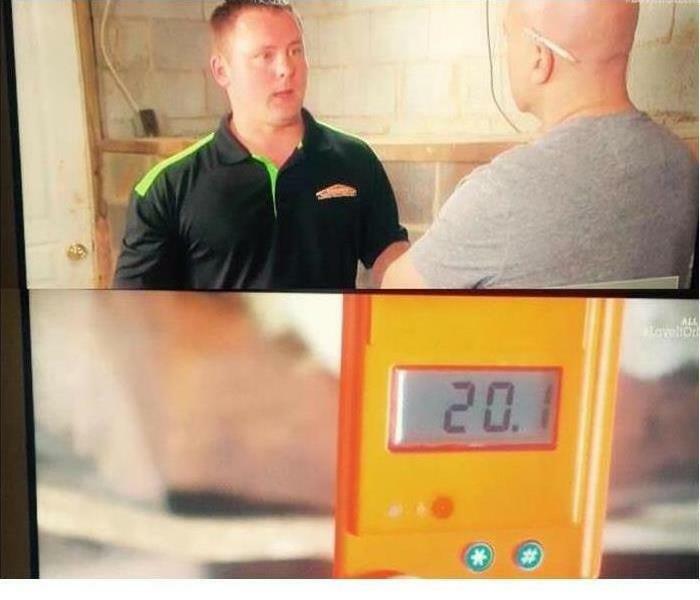 Our SERVPRO debut on the TV screen aired this past Monday, September 21st to kick off the fall season. It was an exciting opportunity for our team to be part of this popular TV show and help out the homeowners. On this episode of Love it or List it, we met a local couple who was having a hard time deciding whether to renovate their home to be more suited for their family of four or to list it and buy something different. So they decide to do both: renovate their house to deal with some of the pesky inconveniences and look at other houses that might meet their needs. At the end of the show they make the ultimate decision to either stick with their newly renovated home (Love it) or put it on the market and buy one of the homes they have seen (List it). As is common with home renovations, our couple found that the water damage they thought they had taken care of in their basement on their own was returning to haunt them. SERVPRO of Kernersville to the rescue! 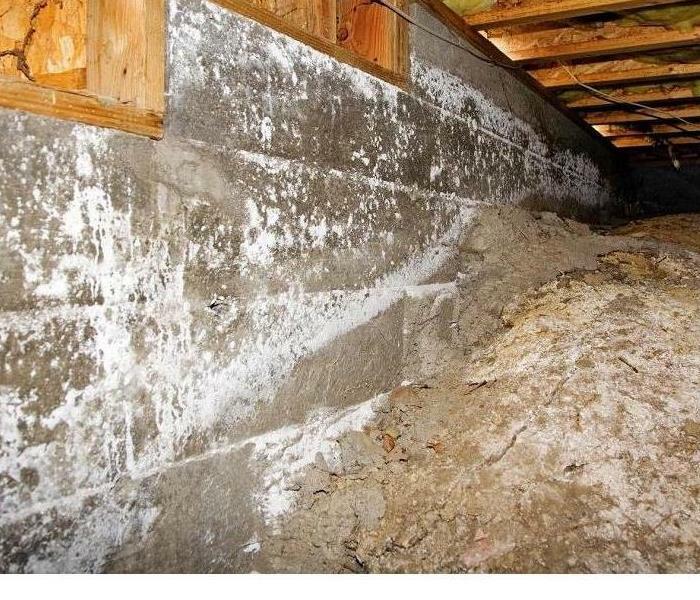 Basements can be a conundrum of dampness and moisture. Did you know that even if a surface feels dry to the touch, it may still be retaining water and thus transforming into mold later on? We have the equipment needed to makes sure water-damaged surfaces are truly dry and treated to eliminate the risk of mold spore growth. Just like we would in your home, we made sure our TV couples leaky basement was dry, sealed and like the water damage as if it never even happened. After our team, and some other talented contractors and designers were done with this couples home, they decided they loved it too much to let it go.We are sure that their newly dry and transformed basement must have played a part in making this difficult decision. Even if you are the star of an HGTV show, we can be your go-to for dealing with those idiosyncrasies of home or business ownership and our ever-changing North Carolina weather. Whether it is water, smoke, wind, fire or mold damage we are your clean up and drying specialists. Do you want the air filtering through your ducts to be as crisp and clear as these fall days? We can clean your ducts and make that a reality in the air circulating through your system. And we are ready and equipped for anything Mother Nature may throw at us this fall and winter. So make us your go to for your home or business needs and we will make sure that you love the results when we are done! SERVPRO of Kernersville wants to remind you of some helpful tips to help insure a safe and happy 2018. All smoke detectors have a manufacturing date on them. If that date over 10 years old, replace it! Also if your home has gas or oil heat it is a good idea to invest in a carbon monoxide detector. Keep a prepacked bag handy with some cash, changes of clothes, medications, copies of important documents, etc. Have your family practice fire drills to make sure everyone knows how to escape, what to do and where to meet should a fire occur. Vacation soon? If you are travelling and will be away for several days, please be sure to turn off the water so you do not come home to any surprises. If you are using rubber hoses for the water supply to your washing machine, they need to be replaced every 5 years. Consider using steel braided hoses as they are much more durable than rubber ones. Periodically check the water supply lines on ice makers and dish washers for signs of wear and replace when needed. Keep a properly rated fire extinguisher in your kitchen. Does everyone know where it is located and how to use. Make sure you know where the critical shutoffs are in your home for main power, water and gas if applicable. Hope that helps!! Contact SERVPRO of Kernersville for any emergency needs. 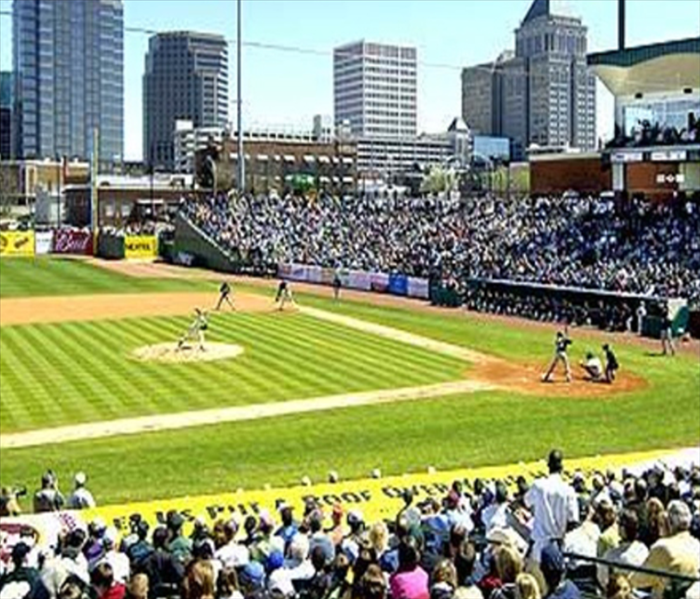 SERVPRO of Kernersville had a great time hosting several local insurance agents and their families at the Greensboro Grasshoppers game! The weather, attendance, and food was perfect. Unfortunately, the Grasshoppers came up short. We at SERVPRO of Kernersville are so fortunate to have such a great group of local agents that we work with. This game was a great opportunity for us to get to know some of our agents on a more personal level, get to meet each others families, and get to watch a great game, eat some fantastic ballpark food, have a cold beverage, and cheer our local team onto victory! Thank you again to everyone who made the 2018 SERVPRO of Kernersville baseball night a success. We look forward to anther great year.